SRINAGAR: Shops, businesses, and educational institutions remain closed in Indian occupied Kashmir on a strike call given by the joint Hurriyat leadership to protest the killing of twelve civilians by the government prior to a weekend by-election, officials said. Internet service remained suspended for the third successive day by the Indian state in view of blocking access to information over human rights abuse by the Indian army in the valley. 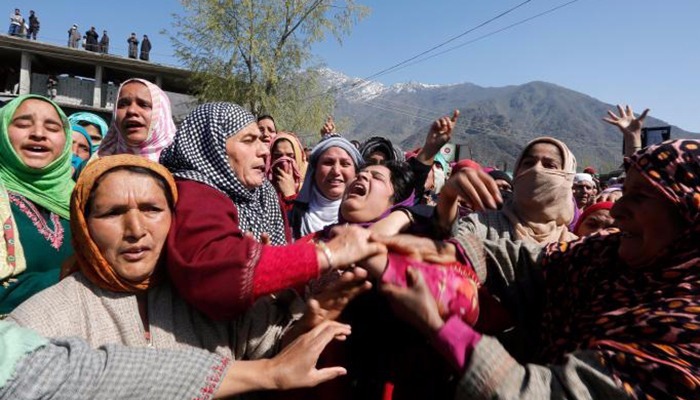 Moreover, the by-election for Kashmir’s Anantnag constituency, which was due tomorrow (April 12) has been pushed back to May 25, the Election Commission today said. A contingent of Border Security Force has been deployed outside the house of Hurriyat leader Syed Ali Gillani. According to Hurriyat leadership, Gillani has been under house arrest since 2010, further adding that his residence has been turned into check post. Indian police and paramilitary personnel have been deployed in strength in Srinagar and other places to stop people from staging anti-India protests over the killing of civilians. Train services between the Kashmir Valley and Jammu region’s Bannihal town also remain suspended. Furthermore, the Kashmir University has also postponed all examinations scheduled for Tuesday and Wednesday. Indian troops martyred four more Kashmiri youth in occupied Kashmir on Monday, taking the death toll from Indian brutality to at least 12 over the past two days. 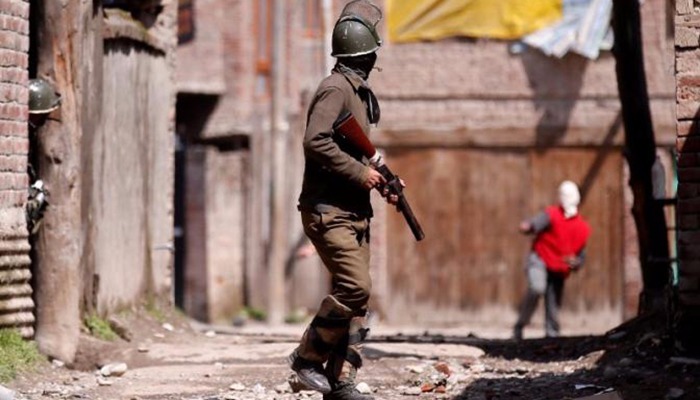 According to Kashmir Media Service, Indian troops killed the youth during a violent military operation in Keran area of Kupwara district. 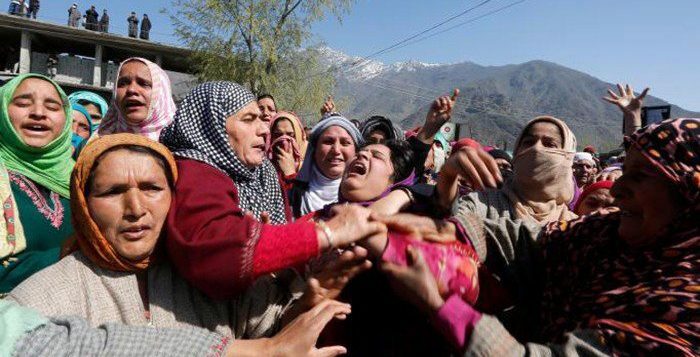 Indian forces had killed at least eight youth including two teenage boys and injured over 100 when they opened fire on demonstrators protesting against the holding of sham Indian parliamentary elections in Badgam, Srinagar and Gandarbal districts on Sunday. However, the poll drama totally flopped with turnout remaining below six as official figures stated.